Join 924 investors who get actionable, evidenced-based wealth management insights delivered directly to their inbox. It’s always important to have one clear voice. One that rises above the crowd. One that can guide you in the formation of a wealth management strategy plan designed to fulfill the goals you set for your future. The voice of Jackson Thornton Asset Management. We speak with a clear voice, one that calls for efficient wealth management. We take the essential elements of an effective wealth management strategy, from investment and estate planning to tax and charitable giving, and integrate them into one clear plan. Our goal: to determine your objective and needs, and work with you to develop the appropriate solutions to meet them. It’s the core of what we do. And it comes down to knowing when to listen, and when to act. 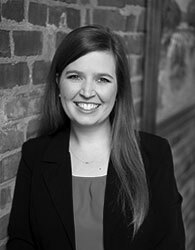 Crystal joined Jackson Thornton as a CPA in 2010. Her focus was tax and consulting services to small business and manufacturing clients. Crystal joined Jackson Thornton Asset Management in 2018 as a Portfolio Advisor. She assists with client portfolio management with a specialization in retirement projections and social security optimization strategies. She holds professional membership in the Alabama Society of Certified Public Accountants and the American Society of Certified Public Accountants. Crystal is a member of the Montgomery Estate Planning Council and the Kiwanis Club of Montgomery. Additionally, she serves on the 2019 River Region United Way Allocations Committee and the Montgomery Area Chamber of Commerce Total Resource Campaign. Crystal is a graduate of the University of Alabama with an undergraduate degree in Accounting and a Master of Tax Accounting. 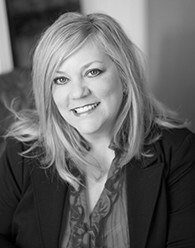 Originally from Ft. Worth, Texas, Kim has worked with Jackson Thornton since 2002. As a portfolio advisor, Kim assists with portfolio management and also acts as a relationship specialist with many clients. 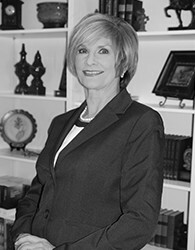 She specializes in retirement projections and social security optimization strategies. Kim is also a professional actor, having traveled with a theatre company for more than 10 years early in her career. She continues to be involved in community theatre – both as an actor and a director. Suzi grew up in Pensacola, Florida and graduated from Pensacola Junior College. She also attended the University of West Florida with an Accounting major. 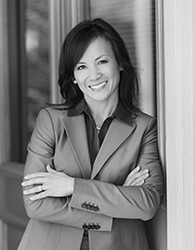 Suzi joined Jackson Thornton in 1993 and Jackson Thornton Asset Management in 1999. She holds the Investment Adviser Certified Compliance Professional (IACCP). Prior to working for Jackson Thornton, Suzi was a Contract Analyst for the Department of Defense and a Financial Budget Analyst for a regional hospital. She is a past member of Dothan Service League and a volunteer for Meals on Wheels. As member of Dothan’s First Baptist Church, she taught English as a second language and worked with children’s mission groups. 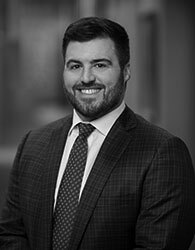 Adam, who joined Jackson Thornton 2006, is a CPA and holds the Personal Financial Specialist (PFS) designation of the American Institute of CPAs. In addition, he is a Certified Financial Planner® (CFP). Adam also serves as Jackson Thornton Asset Management’s Chief Compliance Officer. 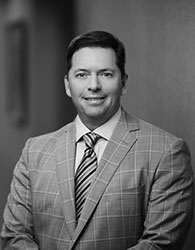 Prior to joining Jackson Thornton Asset Management, he provided tax and consulting services for small businesses and individuals for more than 10 years. Adam is a past president of the Jackson Thornton Young Professionals group and a former Board member for the Alabama Society of Certified Public Accountants and the Montgomery Museum of Fine Arts. He served as Treasurer of EMERGE, a program of Leadership Montgomery. Adam is also a member of the Auburn University Association Alumni Board and a member of the Leadership Montgomery Class of XXXII. In 2016, he was named Outstanding Young Alumnus by Auburn University Montgomery’s College of Business. Adam received his undergraduate degree from Auburn University Montgomery. Nancy was born in Saigon, Vietnam. At the age of three, her family settled in Montgomery where she spent her youth. She graduated from Auburn University at Montgomery in 1995 and joined Jackson Thornton a month later. Nancy’s focus was primarily accounting and auditing with a concentration in employee benefit plans. She is a CPA and has earned the RPA (Retirement Plan Associate) designation, having passed three comprehensive exams and met the standards established by the International Foundation of Employee Benefit Plans. She became an investment advisor and joined the Jackson Thornton Asset Management team in 2012 to consult retirement plan clients. Her community service includes the Kiwanis Club and she volunteers as a Vietnamese interpreter for the Autauga, Elmore and Montgomery county public school systems. For more than 20 years, Shaw has provided accounting and tax services to owners of closely held businesses. Because of his broad business experience, he consults for a number of clients on management and strategic issues. In 2015, he joined Jackson Thornton Asset Management where he now has an even greater opportunity to impact his clients’ professional and personal matters. Shaw is involved in a number of community and professional organizations, including the American Institute of Certified Public Accountants and the Kiwanis Club of Montgomery. He has served on the boards of several organizations including the Alabama Society of Certified Public Accountants, Macon East Academy, Child Protect, the Alabama National Fair and the Kiwanis Club of Montgomery Foundation. He is a member of St. James United Methodist Church. Shaw is a graduate of Huntingdon College, where he was a member of the 1992 National Championship golf team and was selected as a NAIA All-American. 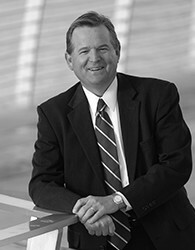 Tommy, a native of Troy, Alabama, graduated from Troy University in 1981 and joined Jackson Thornton that year. He is a CPA and holds the Personal Financial Specialist (PFS) designation of the American Institute of CPAs. Tommy became a registered investment advisor and joined Jackson Thornton Asset Management in 2001. He is actively involved in the community serving as treasurer of The First Baptist Church Foundation, and currently serves on the Leadership Montgomery and Baptist Health Care Boards. His past community service includes United Way and Brantwood Children’s Home. 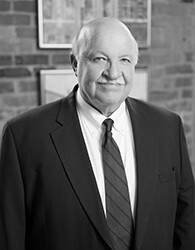 Tommy was raised in Dothan, Alabama and became one of the initial employees when Jackson Thornton opened its Dothan office in 1981. He is a graduate of Troy University and is a member of its Accounting Department Hall of Honor in recognition of professional success and long-term contributions to the profession. Tommy is a licensed CPA and holds the Personal Financial Specialist (PFS) designation of the American Institute of Certified Public Accountants. He continues to work with individuals and closely held businesses in the areas of tax planning and consulting. He became an investment advisor in the Jackson Thornton Asset Management division of the firm in 2007. Jerry grew up in the Fort Payne area of Alabama. 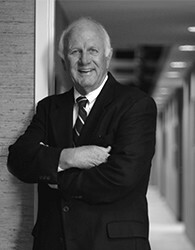 He graduated from Auburn University in 1973 and joined Jackson Thornton as a staff accountant. 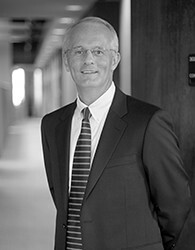 Jerry started the utility industry specialization group within Jackson Thornton in 1993. His utility niche was the telecommunications clients of the firm, including telephone company cooperatives, independently owned telephone companies, cellular telephone businesses, broadband and cable television systems. The industry entered a phase of consolidations and many Jackson Thornton telecommunications clients sold their businesses. Jerry made the transition from the utility specialization group to the asset management group in 2006 where he primarily serves former telecommunications clients of the firm. Jerry, a CPA, holds the Personal Financial Specialist (PFS) designation of the American Institute of CPAs and the Accredited Investment Fiduciary (AIF®) designation of the Center for Fiduciary Studies. George Smith was born in Opelika, Alabama and lived in Montgomery and Pensacola during his youth. 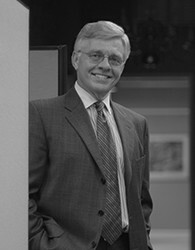 He graduated from Auburn University in 1972 and joined Jackson Thornton that year. George’s focus was primarily tax with industry expertise in the medical and timber areas. He joined the Jackson Thornton Asset Management team in 2009. George is a past president of both the Montgomery Lions Club and the Children’s Center of Montgomery and is currently an active board member of the Montgomery Chamber of Commerce. Lanny Crane is a native of Montgomery. He graduated from Auburn University in 1959 and joined Jackson Thornton in 1960. He provided traditional CPA tax and accounting services to firm clients until 1999 when he became an investment advisor with the then newly formed Jackson Thornton Asset Management, LLC division of the accounting firm. Lanny has a long history of community involvement including serving as a United Way Campaign Chairman and as a founding member of Leadership Montgomery and the Central Alabama Community Foundation. Your Electronic Client Portal can be used to access important information about your accounts such as account values and performance. Please note that your username is the email address that we have on file for you. You can create the password of your choice by clicking “Forgot Password?” below the sign in button. Keep in mind that we can’t set your password for you and will not have a record of what you selected. To access your Electronic Client Portal, please click here. There is a lot being written in the financial community. We select current articles that we believe are of the most interest to our clients. Access them here. As members of the BAM ALLIANCE, we provide the latest in market insights relevant to evidence-based investing. Access them here. Review current and archived issues of our Newsletter here. We believe in educating our investors. To help in this, we maintain a library of relevant articles and videos. To review our archives, just click here. Our advisors offer years of wealth management and related financial experience. Through one-on-one service, we counsel you, adapting for life’s changes. One Clear Philosophy. One Clear Strategy. One Clear Difference. Strategy: a well-thought-out plan to succeed, to act rather than react. It’s a better way of doing things. By focusing on your wealth strategy rather than day-to-day market fluctuations, Jackson Thornton Asset Management helps keep you above the fray. We understand that while maintaining a set course is important, your needs and objectives may change over time. So for effective wealth management, we provide another constant: a continual process where we periodically meet with you, to keep your plan on course. We provide a platform designed to deliver capital market rates of return with both cost and tax efficiency. As CPA’s, we can provide insight into the tax complexities and manage your total portfolio by both investment selection and placement. In addition to seeking broad global diversification according to the tenets of Modern Portfolio Theory, we assist with appropriate asset location between taxable versus tax-advantaged accounts. We apply these techniques for individual investors, retirement plan sponsors and institutional client relationships alike. Our Core Investment Beliefs: Disciplined Investment. Proactive Management. Risk and expected return are related. Financial markets are efficient at processing information. Security prices reflect the knowledge and expectations of all investors. No one can predict the future of financial markets. Investment portfolio construction and management require planning, structure and discipline. Investment diversification, achieved by a structured asset allocation, provides risk management. Periodic portfolio balancing maintains asset class diversification and adds the discipline of buying low and selling high. Controlling investment costs, income taxes and asset placement increases net investment return. We are independent, fee-only advisors, offering objective advice and acting in each client’s best interests. We understand that successful relationships are built on trust. We respect and protect the privacy of you, your family and your business interests, providing a secure atmosphere to review your portfolio and manage your wealth. It takes a certain perspective to see the big picture. It’s our task to assist clients to see those possibilities that they may not recognize on their own – to envision and implement a clear retirement planning strategy to realize their goals. As your trusted advisor, we know that managing your retirement plan isn’t simply about acquiring assets. It’s about you. That’s why our retirement planning services focus on you: discovering and achieving what matters to you; providing distinct solutions to address the financial complexities in your life, and keeping those solutions relevant for you over time.